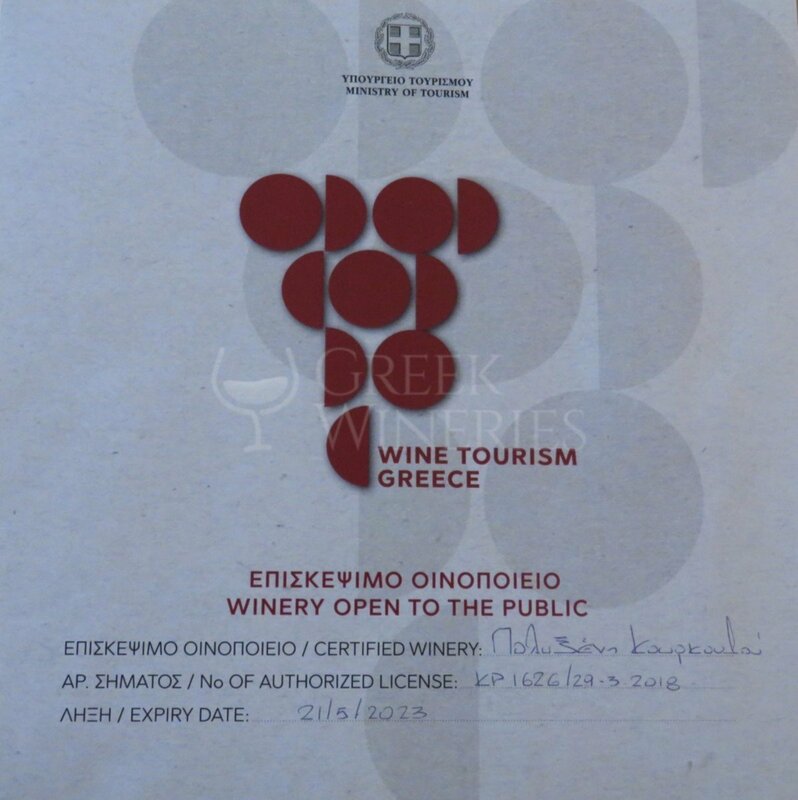 Kourkoulou winery was created by the members of the family, Stratis, Chryssoula, Charoula, Pavlos (civil engineer) and Polyxeni (graphic designer). Pavlos’ personal touch in combination with the family’s hospitable elements produced a modern, but also cozy outcome. 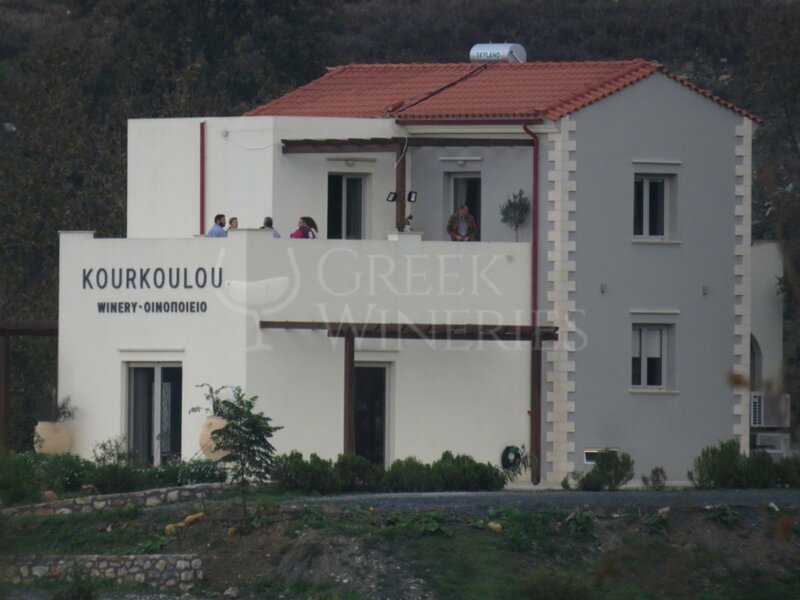 The newly constructed building is comprised of 4 levels and it is located in Patsos Amariou village, 22 km south of Rethymno. The crisp basement (which, due to the gradient ground, has ground floor access) contains the standard vinification machinery, the stainless tanks and the bottle storage area. On the mezzanine floor one can find the sales room with an exhibition corner. The balconies on the first floor are considered to be the most impressive of all –and not unfairly. 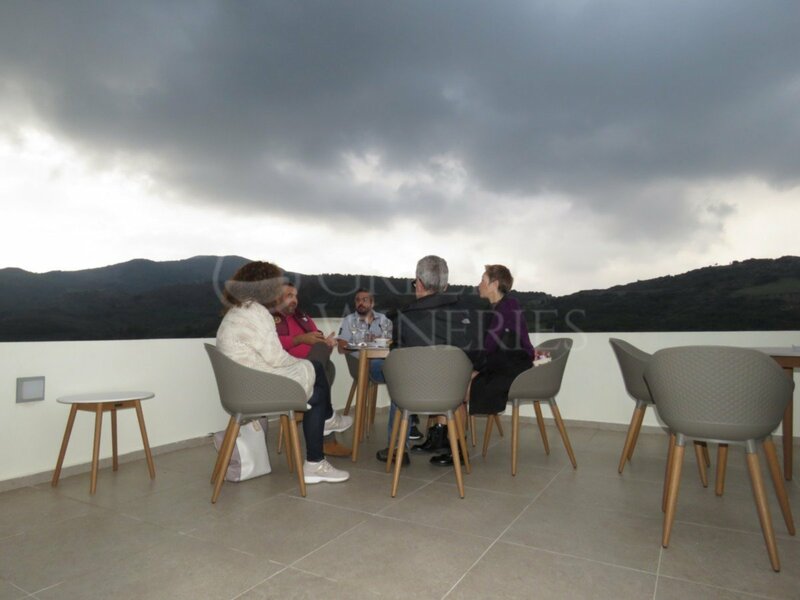 The visitor will enjoy a spectacular 360 degrees view to the mountains, hillocks and a canyon! 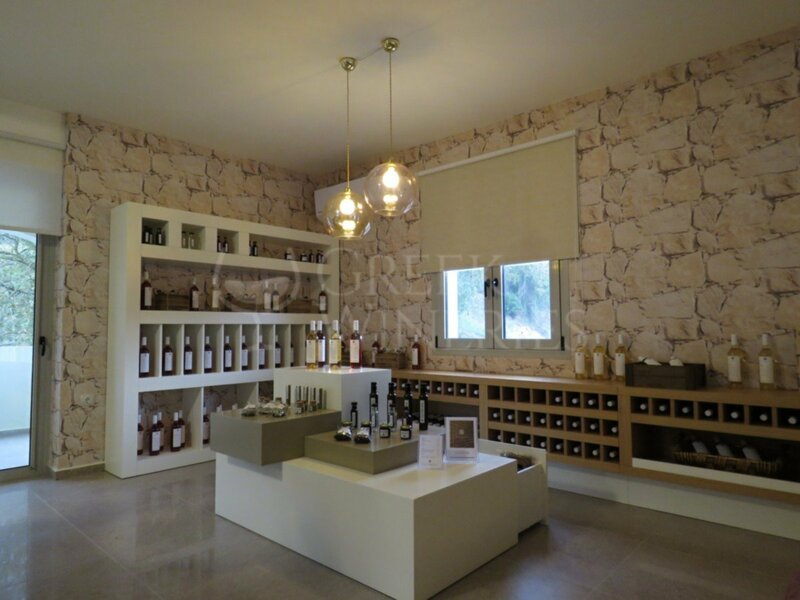 The winery accommodates people with special needs, enabling their access. The taste room on the first floor, with its abundant natural light, can host up to 20 guests. The commodious balcony faces the young vineyards and, in the background, the imposing canyon can be viewed. The first harvest is comprised of 2 wine labels, 2017 vintage. One white and one rosé, both from the liatiko variety. 2500 bottles from each were produced. The two labels matured in stainless tanks for 4 months and then bottled in order to be immediately promoted in the market. 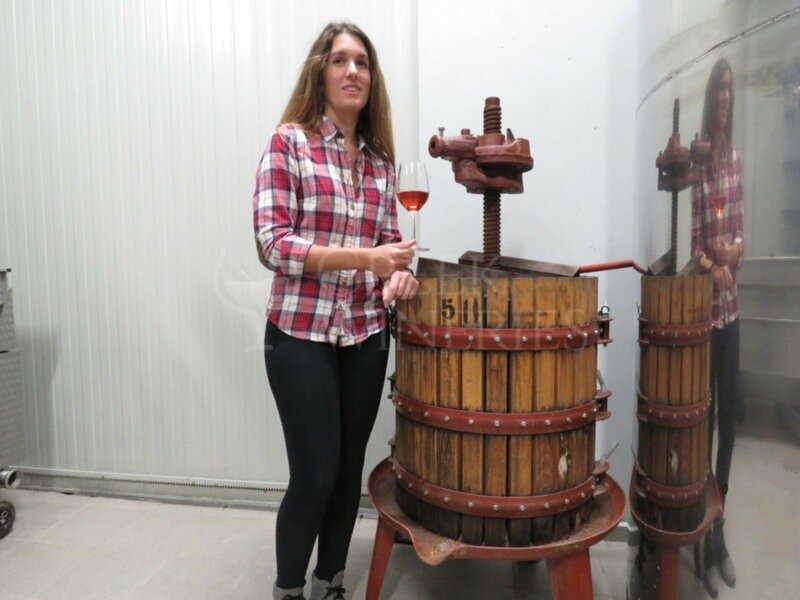 The wine specialist of the winery since 2016 has been Ileana-Maria Malihin. is open to visitors upon appointment.